Butcher Blocks So Renowned, They Have a Name All Their Own! 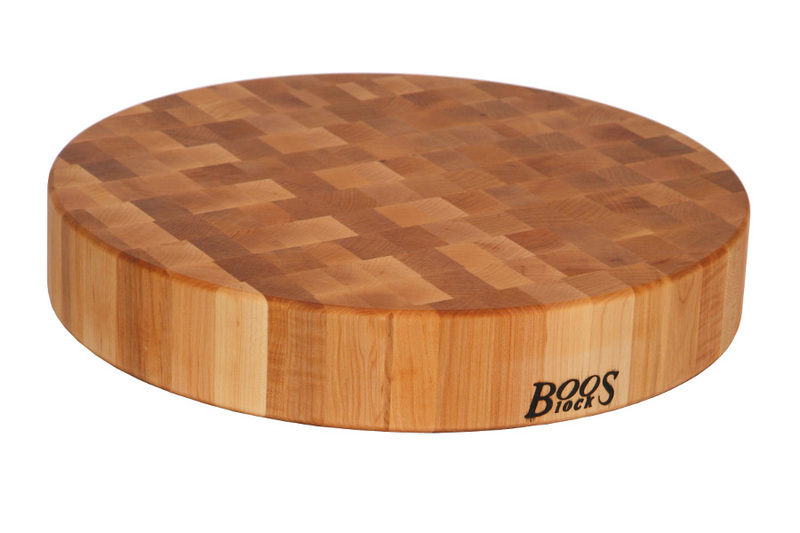 A Boos Block Is an Authentic Butcher Block Made by John Boos & Co.
There’s no mistaking an imposter for an authentic Boos Block. They’re butcher blocks made with the finest North American hardwoods: hard maple, cherry, red oak and black walnut. They come in a variety of grain styles: edge-grain, end-grain and blended; thicknesses; and lengths and widths. Technically speaking, any butcher block bearing the John Boos name is a Boos Block, regardless of its form or function. 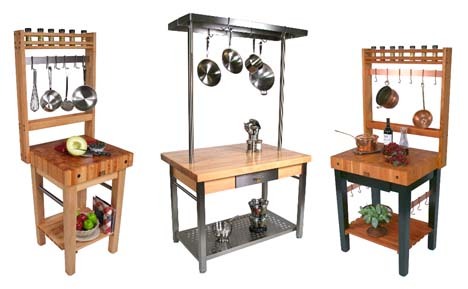 In fact, the butcher block atop one of their kitchen islands, tables or carts is also considered a Boos Block. 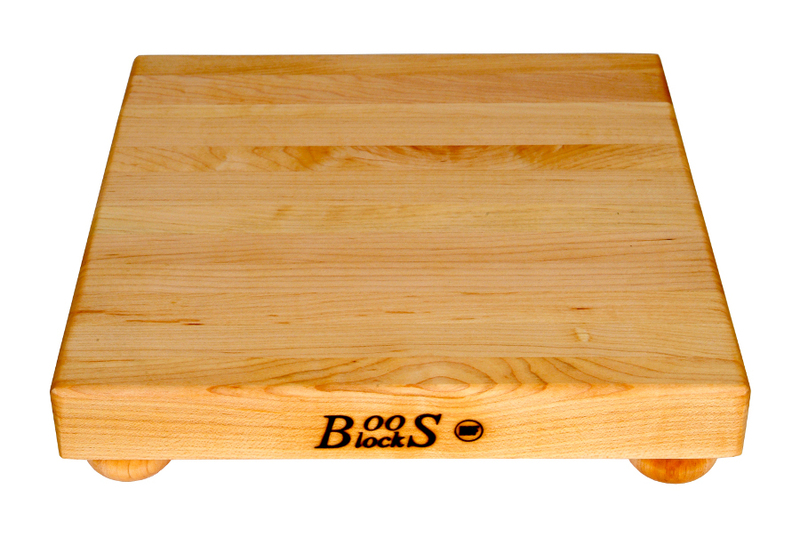 Many of their coveted islands, tables, carts and even their cutting boards come with the “Boos Block” logo imprinted on an edge of the block. The company’s wood plant is located in Effingham, IL and the hardwood they use to make these gems is sourced exclusively from North American hardwood forests that employ sustainable harvesting techniques. That means that these particular forests are never stressed, ensuring that they will continue to thrive so future generations can discover for themselves the unsurpassed beauty and functionality of Boos butcher block products.